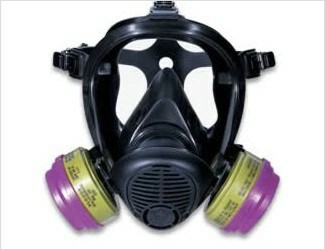 Optimum fit, comfort and superior optics in a full face respirator. The Opti-Fit offers the ultimate in performance and affordability. With features usually reserved for more expensive respirators, the Opti-Fit can help you get the most from your respiratory protection budget. Opti-Fit features a distortion-free lens with exceptional view. Lightweight construction reduces head and neck stress even during extended wear. Twos sizes fit almost any facial type. Offers the ultimate level of value and functionality, while helping users get the most out of their respiratory protection budget.